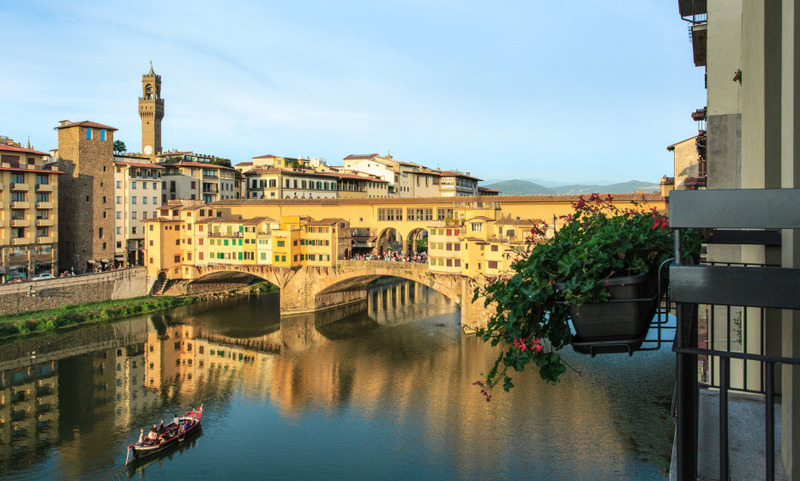 With stunning views of the Ponte Vecchio and a precious art collection from the 1900’s, Hotel Lungarno is the essence of Florentine sophistication. Owned by the Ferragamo family, this hotel features several new suites and a brand new lobby lounge. Borgo San Jacopo is hotel's 1 Michelin starred restaurant. The spectacular views of the city and Arno river from most guestrooms. The precious art collection from the 1900's with original Cocteau's and Picasso's. The lamb at the Michelin starred restaurant Borgo San Jacopo.